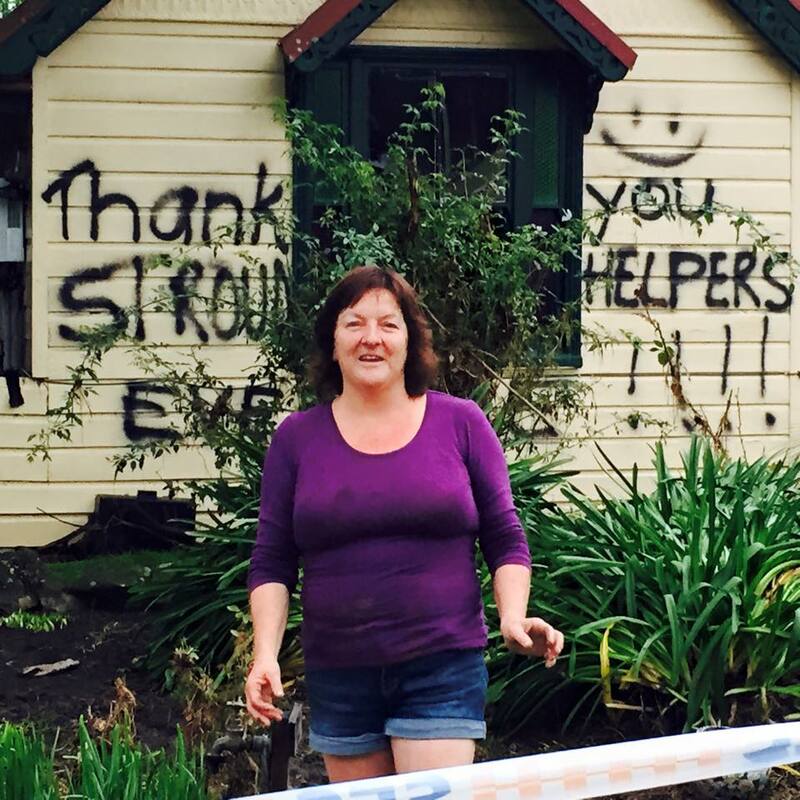 Great Lakes Council Mayor, Cr Jan McWilliams says the Great Lakes community owes a debt of gratitude to several individuals who risked their lives to save others in Stroud last week during a flash flood that wreaked havoc in the pre-dawn of Tuesday 21 April. “Several men undertook significant acts of bravery early that morning and have since quietly returned to work without a word to anyone” said Cr McWilliams. “Well we want them to know that we are all deeply grateful for their actions on that night and we applaud their bravery. Above all, we are glad that both they and the people they rescued that morning are safe” said the Mayor. At 4.03am (about the same time), Stroud Ambulance Station received a call to assist with a flood emergency at Clarencetown and Dungog. Ambulance officer, Bill Rathbone says they couldn’t respond as Stroud roads were cut off by rapidly rising flood waters. The ambulance turned back to return to town but at about 4.15am came across a SES vehicle with a lone occupant that had been washed off the road while attempting to get through. With the help of another SES vehicle, the ambulance officers rescued the SES worker from the roof of his vehicle using a ladder back to the rescuing SES vehicle. Meanwhile, Michael Maytom was returning home after his work shift at a local mine. When he saw the flood water rising, he entered the showground campground and woke up the campers. Mr Maytom got the campers into the relative safety of the Showground grandstand, but the waters rose quickly and the Grandstand faltered, shifting on its foundations. Campers were forced to take on the perilous flood waters, abandoning the Grandstand. Meanwhile Stroud’s local police officer, Senior Constable Brad Smith, a local resident police officer Trent Moffat and Bill Rathbone had found a boat and were on route to fish the campers out of the flood water, which was still rising at a rapid rate. Together with a second boat and two Essential Energy workers, Willy Grey and Dean Hancock, the men leapt out of the boats, retrieving campers from the water and getting them into the boat. “Our boat got swept into the centre of the showground and we could hear an elderly couple crying out for help” said Bill Rathbone. The situation was dire, one couple were hanging onto the air vents at the top of the Showground’s amenities block. The gentleman had tied a cardigan through the hole and used a belt to attach his wife so that the water wouldn’t carry her away. At considerable risk to himself Bill Rathbone leapt out of the boat to get the lady and her husband to safety. “They had nothing left in the tank. The lady could not have hung on any longer – they told us that later” said Bill. “We were just grateful that there was no loss of life in Stroud” says Bill Rathbone about that morning. “Of course our heartfelt thanks also goes out to the State Emergency Service, NSW Police, the NSW Ambulance Service and Essential Energy who all had back up on the ground very quickly on the morning of Tuesday 21 April and proceeded to rescue people from roofs and assist Stroud in its clean up after this storm event” said Cr McWilliams. Thanks for your comment. The media release above came direct from Great Lakes Council and was unaltered.